Relax Ireland Ltd, a self-catering holiday booking and maintenance company, identified an opportunity for growth in the new home owners market. However, due to limited resources, the company needed assistance from RIKON to examine the competitive landscape they operated in to ensure this opportunity could be incorporated into their business model. In order to scale the business they needed a strategic approach to their expansion strategy, as well as design of an innovative business model to provide clear direction with the development of their value propositions. We started off by exploring Relax Ireland’s business model and analysing its performance in accordance with company’s value propositions and ambitions. RIKON conducted an in-depth research, trying to deliver the latest industry trends and best practices to Relax Ireland, so they would have a better understanding of the opportunities and threats facing them. The process took a considerable amount of effort, expertise and time – resources which Relax Ireland on their own lacked, but eventually gained with the assistance from RIKON. At the start of the project Relax Ireland expressed their desire to improve the appeal of their services to house-owners and become more effective and efficient in targeting specific customer segments – factors which were crucial for the company to make the next step in its development. To address these issues, RIKON undertook an in-depth research, learning and analysing data about each customer segment, which provided a good insight into the trends within the industry. These trends allowed us to develop a strategy together with Relax Ireland as to how the company were to communicate to their customers more effectively. What was communicated to the customers itself was of vital importance too and RIKON worked closely with Relax Ireland to develop a unique marketing appeal for each of the customer segments, which would allow the company to relate to their customers’ needs and wants more accurately. 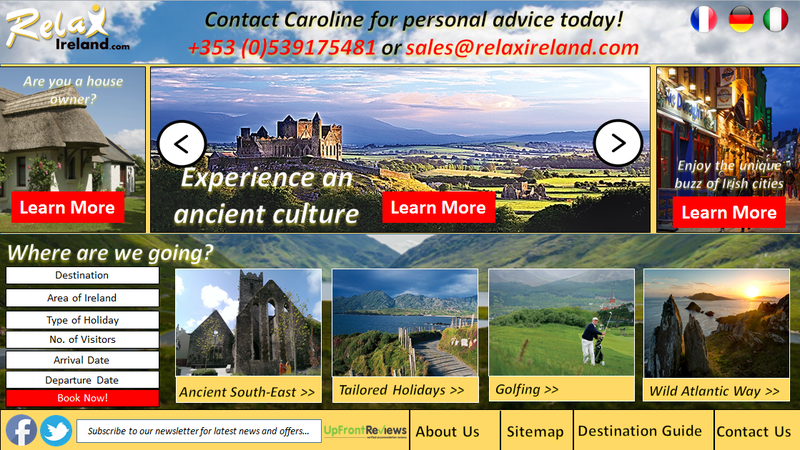 As a practical example of how Relax Ireland could use their website to convey their value propositions, RIKON designed a draft of what the ideal homepage for their business would look like. Finally, RIKON designed a marketing campaign targeted at acquiring and retaining home-owners, which was one of the biggest challenges facing Relax Ireland. This provided them with a detailed long-term customer-relationship management plan for strengthening ties with their home-owner partners, which was of incredible value to the company. We were really impressed with the Rikon Innovation Voucher process, Both, Rose & Vladislavs covered a lot of information with us, it was easy to understand, clear and was obvious from the presentations and meeting with them both, they had put a lot of thought and expertise into our meetings. The most valuable lesson learned for us is how to communicate better what we offer to our customers, we were given feedback and suggestions to both improve our website and internet marketing strategies which we will work to implement and would be confident once completed this will make a significant difference to our business and will increase our sales volume. Thank you so much!